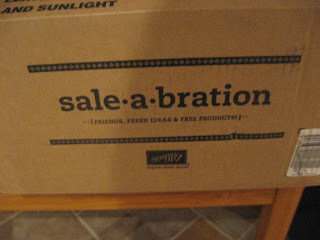 Sale-a-bration 2011 ENDS Tomorrow !!! Stampin' Up! SALE - A - BRATION 2011 ends TOMORROW - March 31st !! Your chance to earn for FREE 1 of over 80 stamp sets for every $60 you spend!! It's Sale-A-Bration time again at Stampin' Up!, and friends, fresh ideas, and free product is what it's all about! Every year Stampin' Up! gives customers, hostesses, and new demonstrators the opportunity to earn fantastic, FREE, limited-edition products they'll enjoy for years to come. When you spend $60 on Stampin' Up! merchandise, you'll receive a free Sale-A-Bration reward. There's no limit--for every $60 you spend, you can select another FREE Sale-A-Bration reward! Host - Catalogue Parties work also!! When you host a workshop of at least $395 (before tax and shipping), you'll receive a free Sale-A-Bration reward in addition to all of the regular hostess benefits! Contact me today to schedule your Sale-A-Bration workshop - daytime, evening or weekend dates! Catalogue Parties work also!!! During Sale-A-Bration, anyone who joins my team as a demonstrator gets 15 percent off the price of the standard or digital+ Starter Kits--that's over $375 worth of high-quality Stampin' Up! products for just $182.75! In addition, new demonstrators get a FREE Bonus Bundle worth up to $60! To take advantage of this special, limited-time offer, contact me today! The Sale-A-Bration promotion ENDS March 31, so don't miss your chance to earn free products! Talk to me, Jennifer DiMarco, today to book your workshop or learn more about this promotion. I have a full-colour Sale-A-Bration brochure full of beautiful project ideas you can make using these limited-edition Sale-A-Bration sets. Contact me to get one in your hands! You can also view the Sale-A-Bration brochure online here. See my STAMPING CLUB link for more details on all the perks and benefits! Shelli Gardner - Co Founder and CEO of Stampin' Up! is coming to Montreal !!! 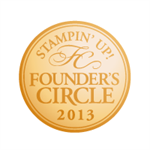 SHELLI GARDNER - Co-Founder and CEO of Stampin' Up! is COMING!! REGISTRATION CLOSES TOMORROW or while seats are filled. Meet Stampin' Up! co-founder and CEO, Shelli Gardner! Shelli is excited to be able to attend this event, so please be sure to come see her, enjoy her presentation and stamping-and just say hello! Meet Carrie Marcelin, Stampin' Up! Canada office assistant and Montreal native. Enjoy a workshop demonstration from a Quebec demonstrator. Learn tips, tricks, and techniques that will wow you and your workshop customers. Create beautiful Make & Takes. Swap with other attendees (optional) , mingle, and make new friends! Presentations will be in French with a few classes being given in English. English presentations will be translated into French. There will be no translation from French to English. This is going to be an amazing event that you won't want to miss! Stampin' Up! is coming to Montreal! Regional Seminars are AMAZING not to be missed events! Stampin' Up! is allowing me to bring guests to this event! *while seats are still available* Woohoo! In addition to being overloaded with amazing samples and techniques we will also have a goodie bag filled with The Nature Walk stamp set from the Ocassions Mini Catalogue and the materials for our "make and takes" ie our class taught BY Stampin' Up! Don't forget your cameras!!! Imagine being in a room full of Stampin' Up! employees, demonstrators and customers who love what you love! What Does Your $55 Registration Include? • Nature Walk Stamp Set from the 2011 Occasions Mini Catalogue. • Make & Take projects - also known as Class Projects! 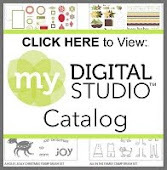 • Hundreds of display samples for inspiration - Bring your camera!! Swapping - there will be lots of swapping!! It is optional, but wonderful to participate in. Card size is card fronts only (not the full card is required, just the front). The cost for the evening is $55 - this includes your goodie bag! Please contact me ASAP if you are interested as this event WILL fill up. I have 2 vans driving from Ile Perrot and Beaconsfield - we have room for 3 more ! Stampin' Up! 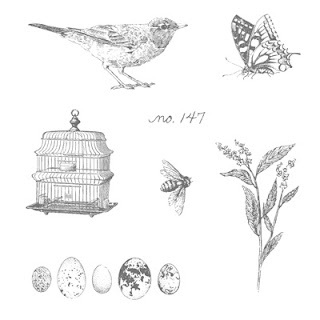 Nature Walk Stamp Set, Sale-a-bration Boxes & Regional ! Stampin' Up! 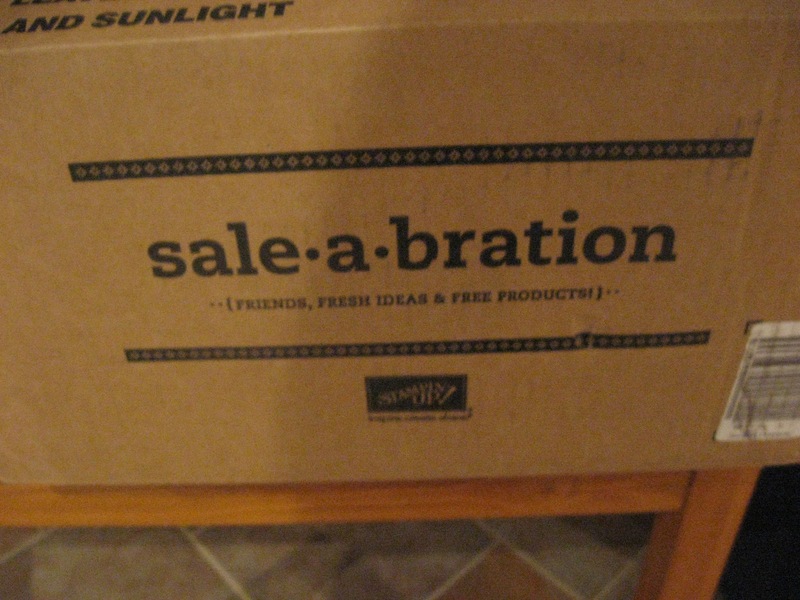 Sale-a-bration 2011 comes to an end on March 31st! Be sure to book in your workshop or class with friends today! For those of you who have received your party orders, these pics may be familiar to you!! 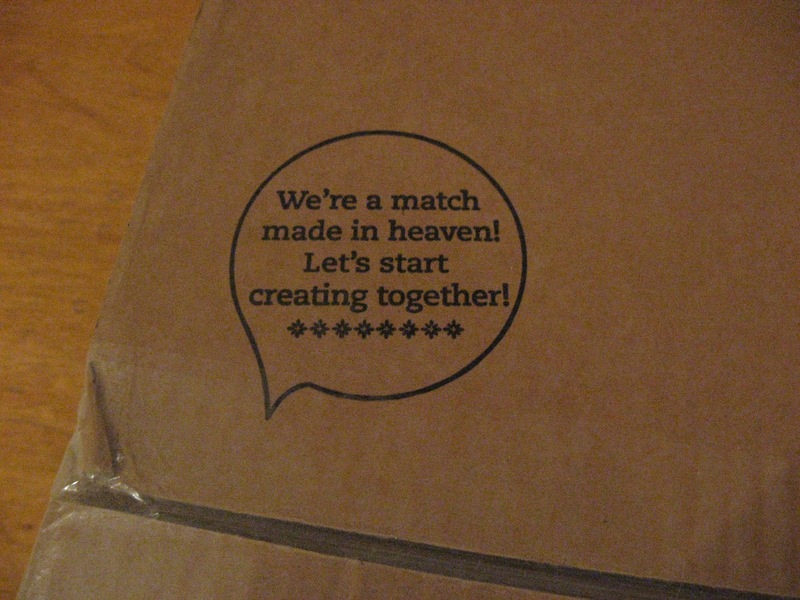 They are on the Stampin' Up! boxes!!! Love it! Have your placed your order yet? 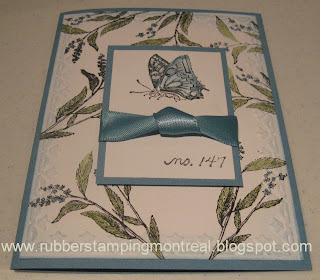 It features the Nature Walk stamp set from the Occasions Mini Catalogue! It may look familiar also as those attending the Stampin' Up! will be receiving it for FREE with their registration! There is still room! Contact me for more details! The Sale-A-Bration promotion ENDS March 31, so don't miss your chance to earn free products! Talk to me, Jennifer DiMarco, today to book your workshop or learn more about this promotion. limited-edition Sale-A-Bration sets. Contact me to get one in your hands! Explore Your Creativity with Stampin' Up! I wanted to share with you this wonderful video with Shelli Gardner, CEO of Stampin' Up! and some of the new Stampin' Up! products and ideas at home office! If you are seeing this via email, please click on my blog link at the bottom of the email to go directly to my blog. contact me to reserve your seat today! 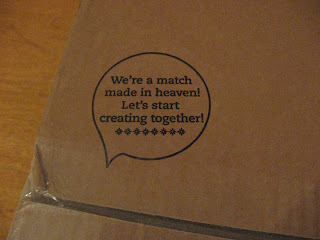 Friday or Saturday evening Stampin' Up! Stampers Club begins March 2011. Registration on now! Contact me for more details! 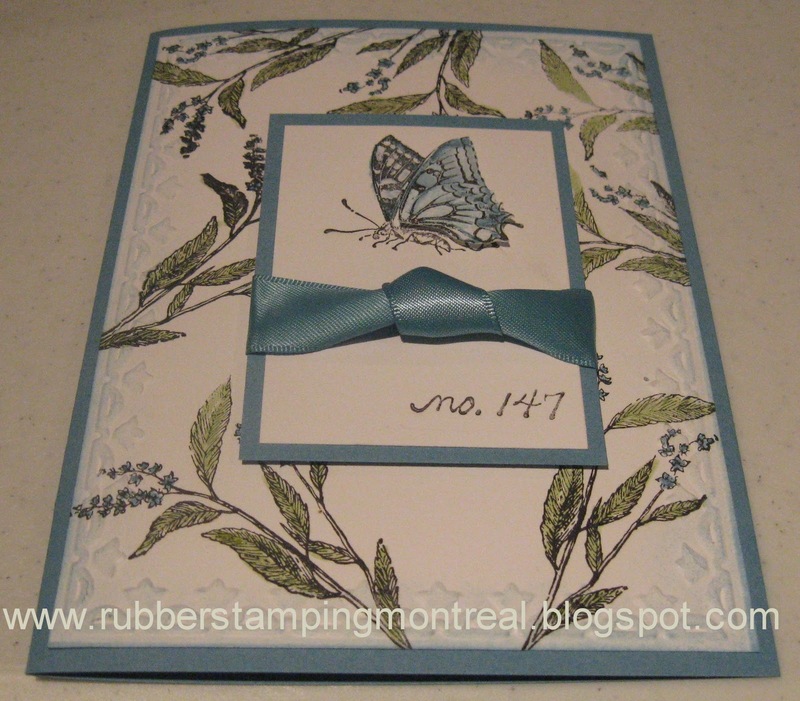 Did you know that the first month of my Montreal EVENING Stamping Club will be held during Sale-a-bration 2011 for even more rewards.... See my STAMPING CLUB link for more details on all the perks and benefits! Sale-a-bration ENDS March 31st... Book your party today!!! When you host a workshop of at least $395 (before tax and shipping), you'll receive a free Sale-A-Bration reward in addition to all of the regular hostess benefits! Contact me today to schedule your Sale-A-Bration workshop - daytime, evening or weekend dates! 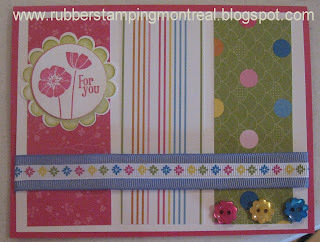 Did you know that the first month of my Montreal EVENING Stampers Club will be held during Sale-a-bration 2011 for even more rewards.... See my STAMPING CLUB link for more details on all the perks and benefits! March Monday Morning Classes & March Daytime Crops ! Registration is OPEN for March Monday Morning Classes and March Daytime Crops!!! 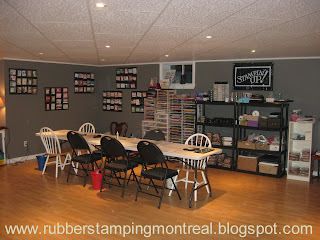 Location: Jennifer DiMarco's Montreal Stamping Studio ! Welcome to March Monday Morning Classes! Class Cost is $20 per class or 1/2 price with a $30 order. Each Monday morning in March, I will be offering a DIFFERENT class...so please feel free to sign up for them all ! RSVP is required 72 hours in advance. Each class will offer BOTH card making and scrapbooking. These classes are more advanced than my introductory classes. Each week we will create 2 cards and one 12x12 scrapbook page (photos not required). Class Cost is $20 per week or 1/2 price with a $30 order. Register your seat in my Studio! Cropping times book up FAST as space is limited! Contact me to reserve your seat in my studio! ONE MONTH LEFT of Sale-a-bration 2011 !! Have you booked your workshop today? ?